Finally I’m back to blogging after a bit of a break! I’ve had too much wedding related chaos to make any time for myself, or my cooking. But I have some goodies saved up that I will now post. First I have to show off an awesome addition to my kitchen, thanks to my amazing fiance!! I’ve gotta show off both what a great guy he as, as well as his mad welding skills (he is a welder). I mean, how lucky am I to have a guy that does this for me…and actually not just for me but for both of us because we cook together often! It makes it way easier for both of us to be in the kitchen. How did I live without this stainless steel beauty before? 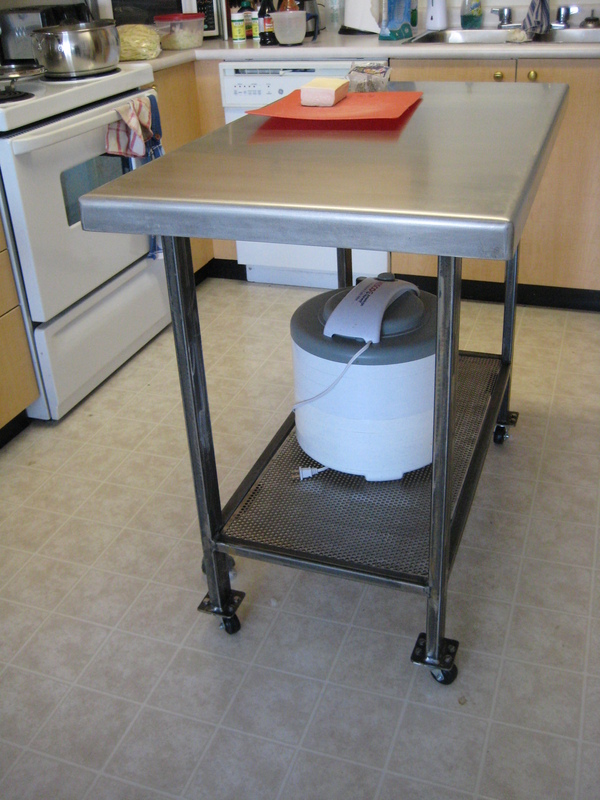 That’s the food dehydrator stored at the bottom. A great place for that massive thing which used to hang out on our kitchen table because it didn’t fit anywhere else. Now…on to the FOOD! 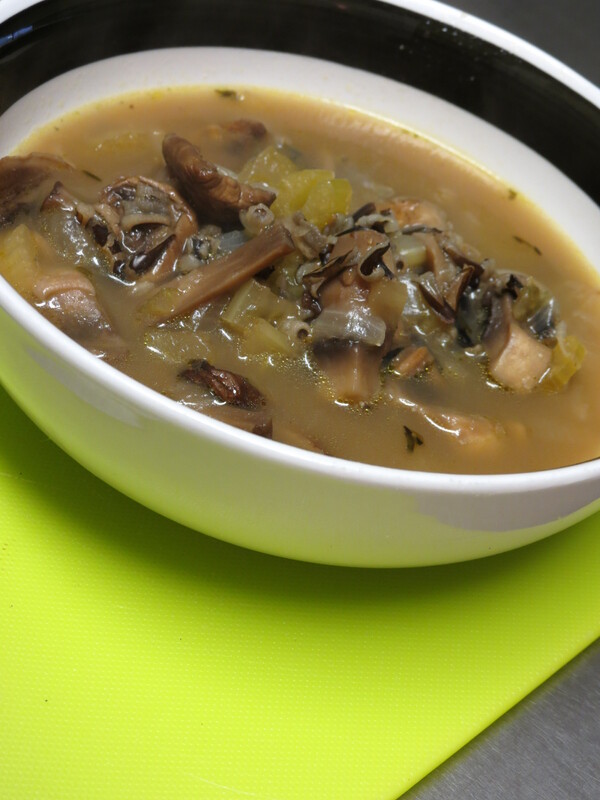 I got the idea of making this soup from another blog, luminousvegans. I’ve always wanted to try hot and sour soup but never have! The recipe is from Vegan Yum Yum. Heat a large 5 qt soup pot that has a heavy lid over medium heat. Add oil and onion, and saute until golden. Meanwhile, quarter your cabbage, remove the core, and shred the cabbage with a large chef’s knife. 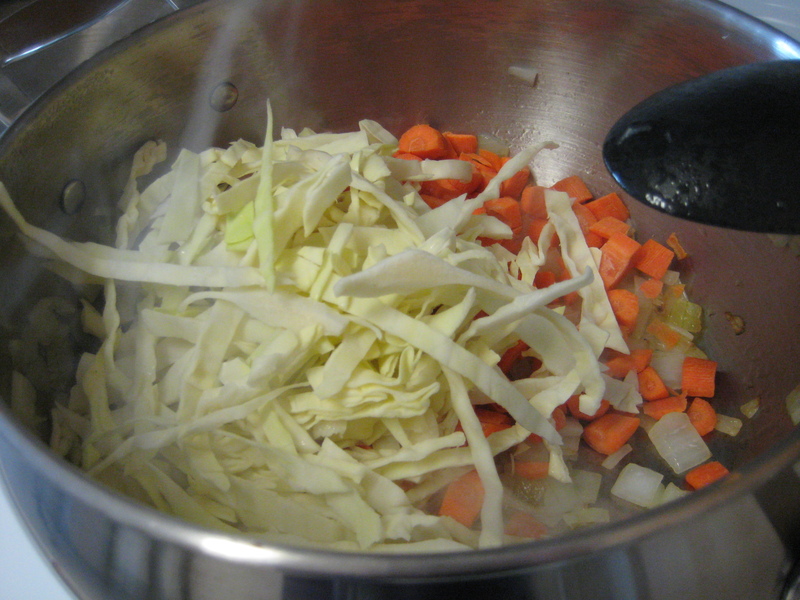 Add carrots, tomatoes, cabbage and water to the pot and stir well. First time using tofu cubed up in something - loved it in this soup! Add the tofu, tamari, vinegar, chili flakes and salt. 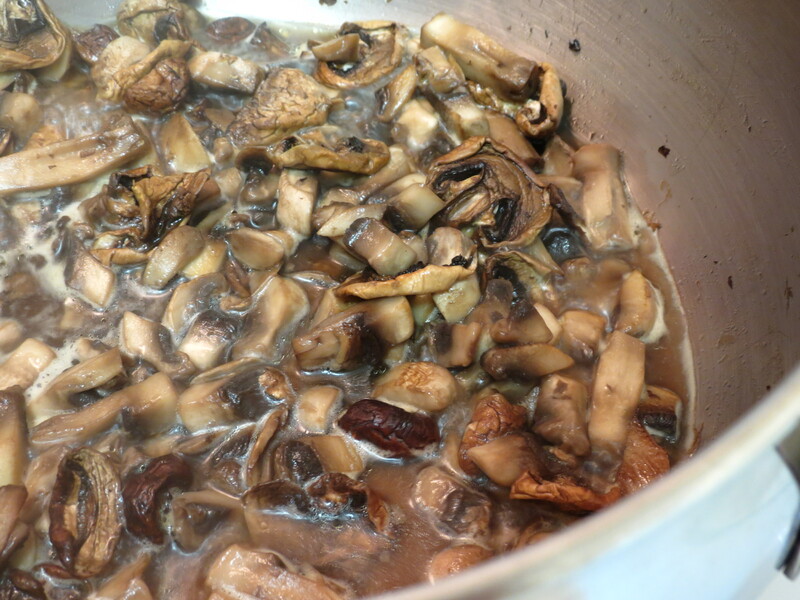 Bring to a boil, cover, then turn heat down to medium low. 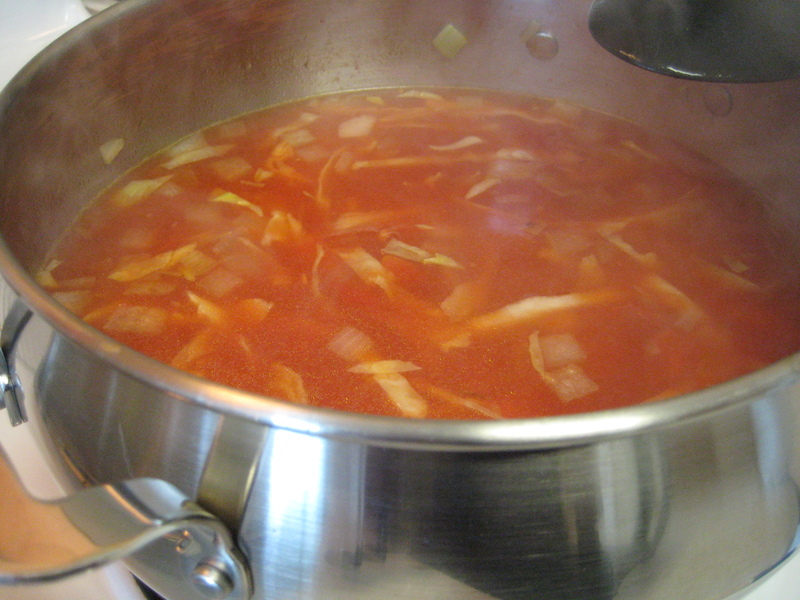 Simmer for 20 minutes or until cabbage and carrots are the desired tenderness. Grind a lot of fresh black pepper over the top and serve. 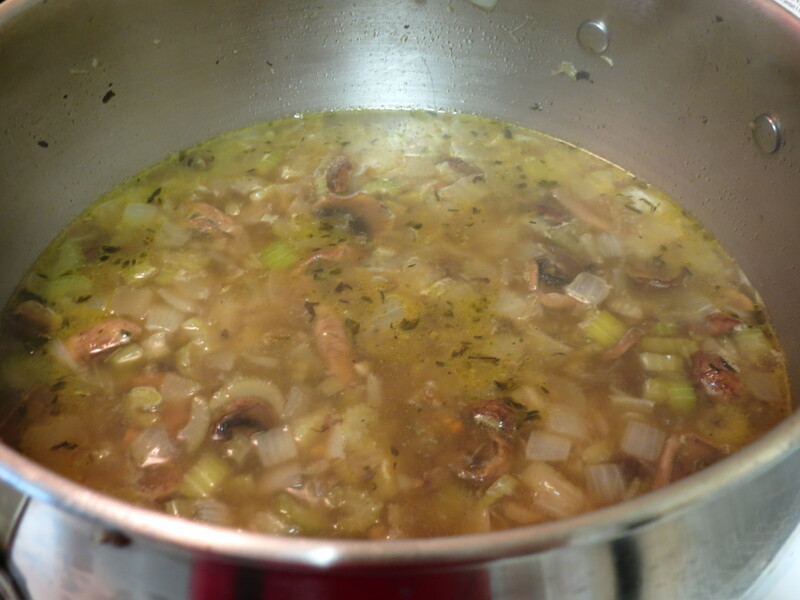 The flavor in this soup was so great, I am going to make it again very soon. 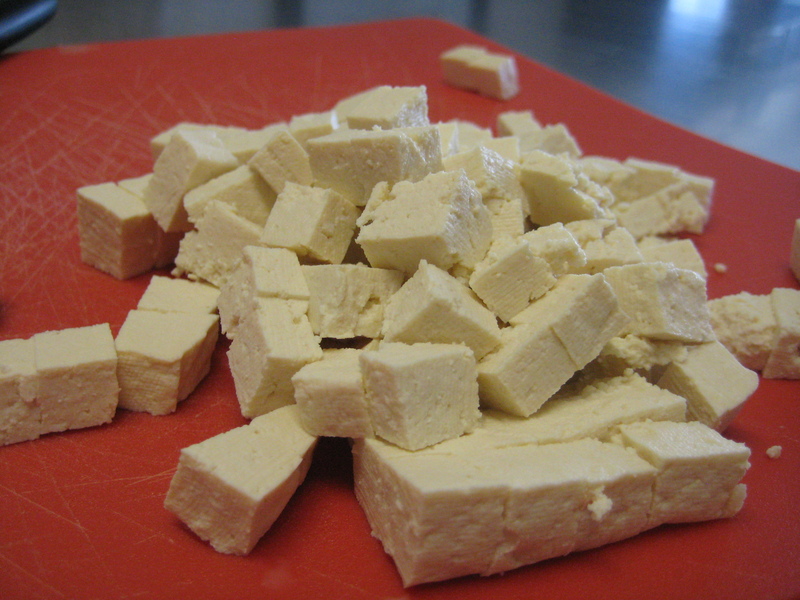 The tofu absorbs the soup flavor and it is melt in your mouth goodness – it’s addicting. This soup is also easy, and you can keep it in the fridge and eat it all week. This one is a winner – try it out for yourself!